World Environmental Photograph Exhibition is an exhibition that makes us, who live in the time of environmental destruction, to re-think about our relationship with nature. Each photograph of world's influential photographers who are conscious about environment tells us the world's environment today. 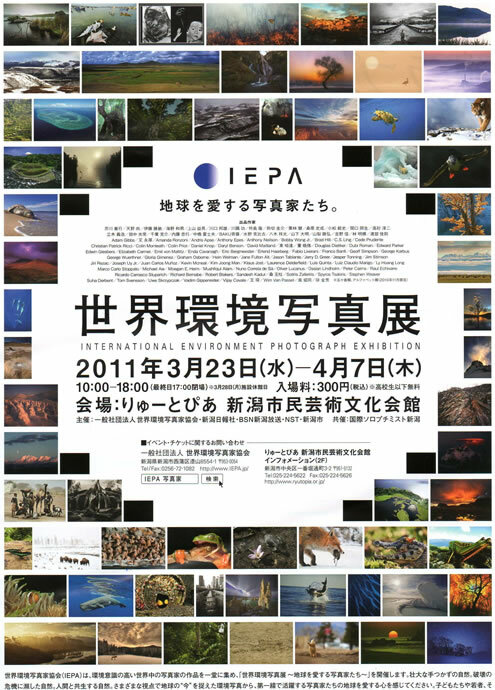 The exhibition is held in the "Niigata-city performing arts center" in Niigata, Japan.